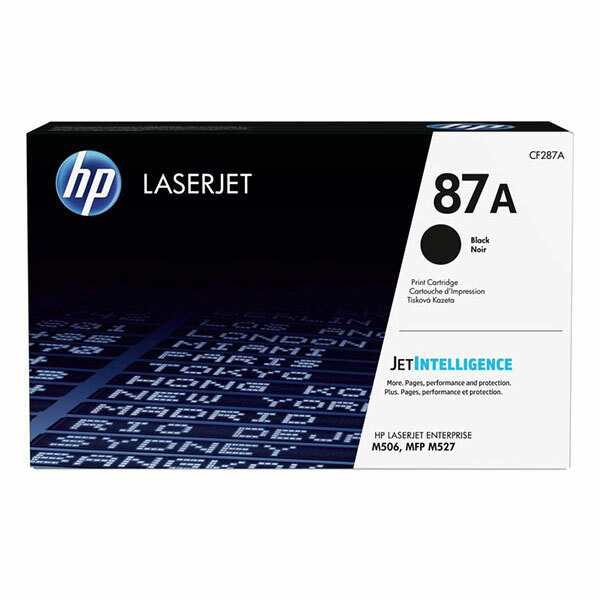 HP 87X (CF287X) LaserJet Enterprise M506, (Flow) MFP M527, Pro M501 High Yield Black Original LaserJet Toner Cartridge (18,000 Yield). Be confident you're getting more from your cartridge. 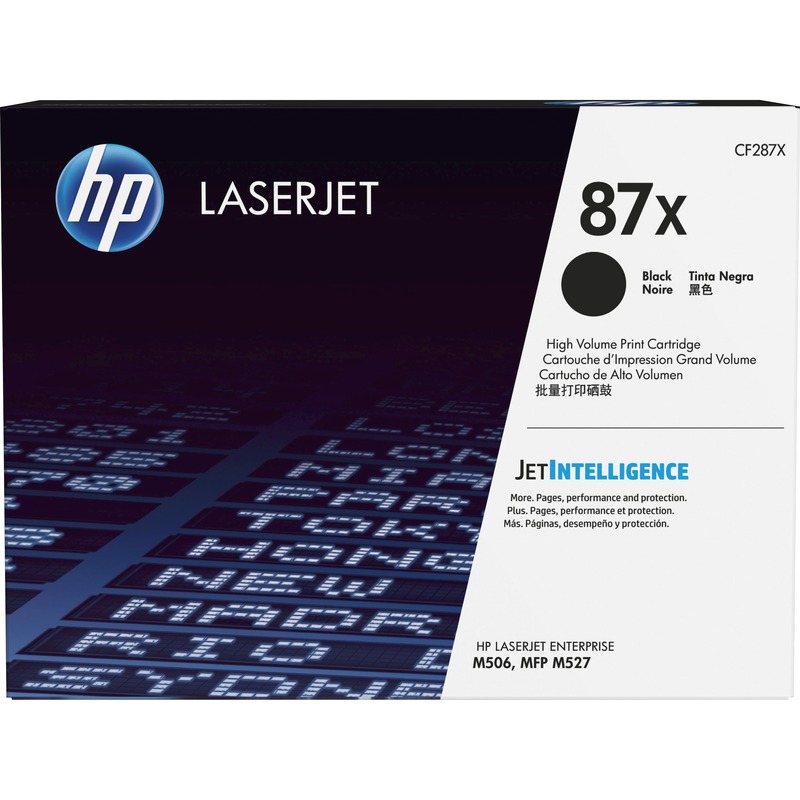 Cost-effective Original HP High Yield Toner cartridges with JetIntelligence deliver more pages than ever before. Count on intelligent tracking of toner levels and replace less often.